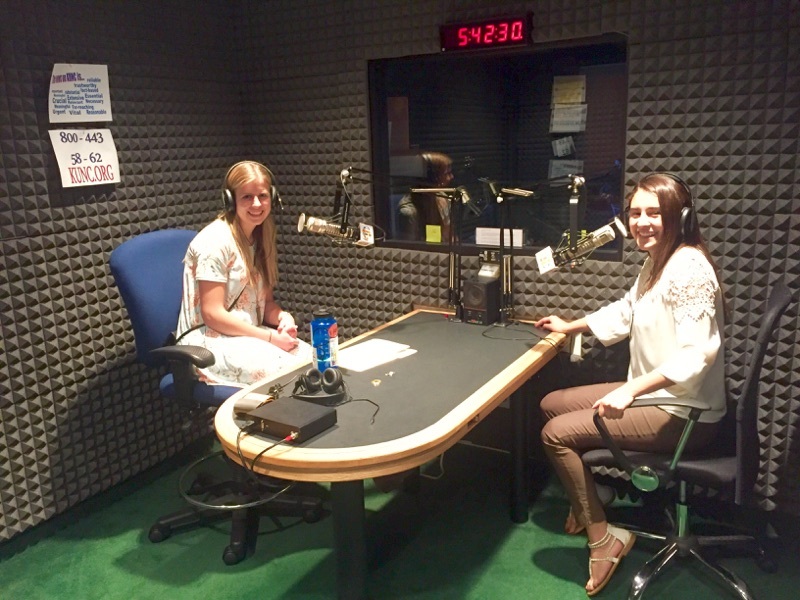 In e arly June, current Boettcher scholars and alumni came together for a tour of KUNC, a public radio station that broadcasts NPR and other local news and music out of Greeley. Five members of the Boettcher community attended. They were: Paula Pulido (2016), Amanda Cary (2014), Doug Marek (1972), Steve Winograd (1968) and Ken Weaver (1963). KUNC began in 1967, but it was initially known as KCBL. After years of being affiliated with the University of Northern Colorado, the station became independent of the university in 2001 when UNC attempted to sell it to Colorado Public Radio. However, a community of dedicated listeners intervened and raised $2 million in 20 days to keep KUNC independent. 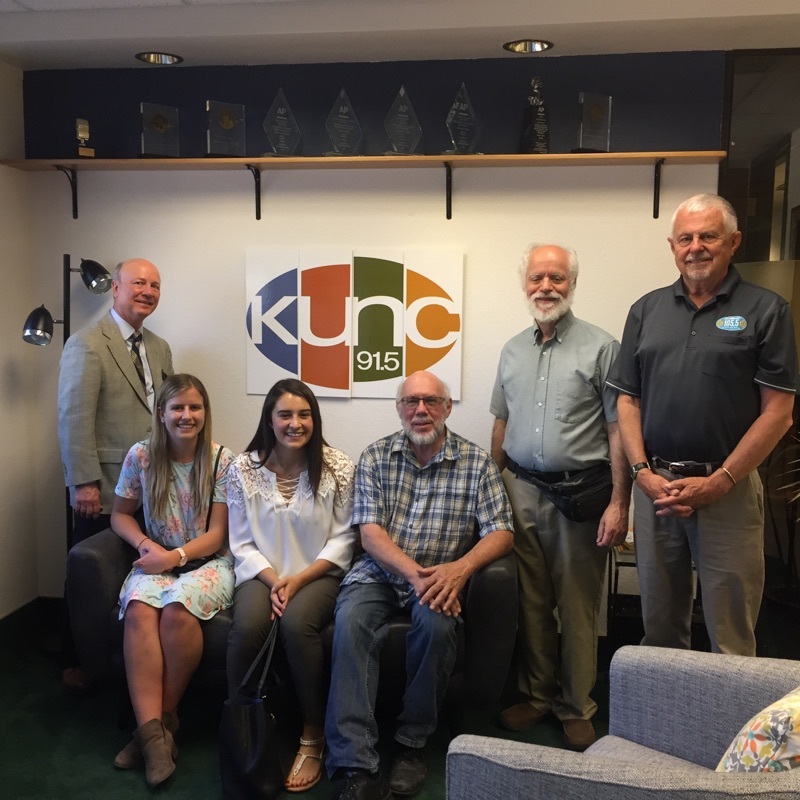 Today, KUNC is operated by Community Radio for Northern Colorado, and monitored by a board of directors and advisory council. “It speaks to the value of the community,” said Neil Best, KUNC president. KUNC will celebrate its 50th anniversary this year, and so much has changed beyond just ownership in 2001. 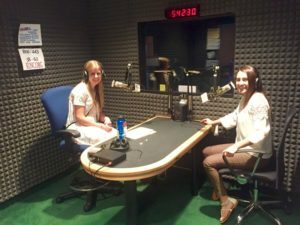 The station has grown from a small, college station to an organization with a budget of $3.2 million that is sustained by 32 staff members and has 220,000 listeners. Best also recognized the challenges in the radio industry, such as the need to engage younger listeners and adjust to the technology shifts that came in 2007, when more people relied on streaming services to listen to their music and news. Facilities have also been among the significant change to the station in the past 50 years. 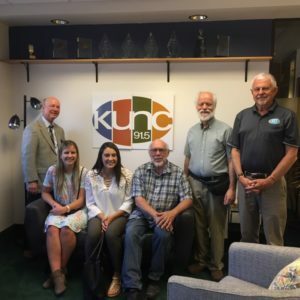 While KUNC was initially operated on UNC’s campus, the station is now operated from an office in west Greeley, where the tour was held. Best showed the Boettcher Scholars where both prerecorded and live broadcasts are transmitted from, along with the newsroom, control room and various offices. The modern technology used to operate KUNC was juxtaposed with old-fashioned radio sets from when the station was first launched. The lobby’s wall holds a large map of Colorado, with 20 KUNC icons located across the map indicating the 20 towers. 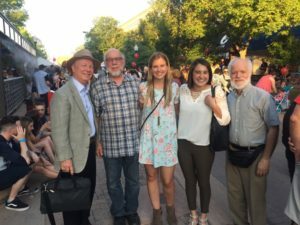 After t he tour concluded, the group went to enjoy dinner and each other’s company at the Rio Grande Mexican Restaurant in downtown Greeley. 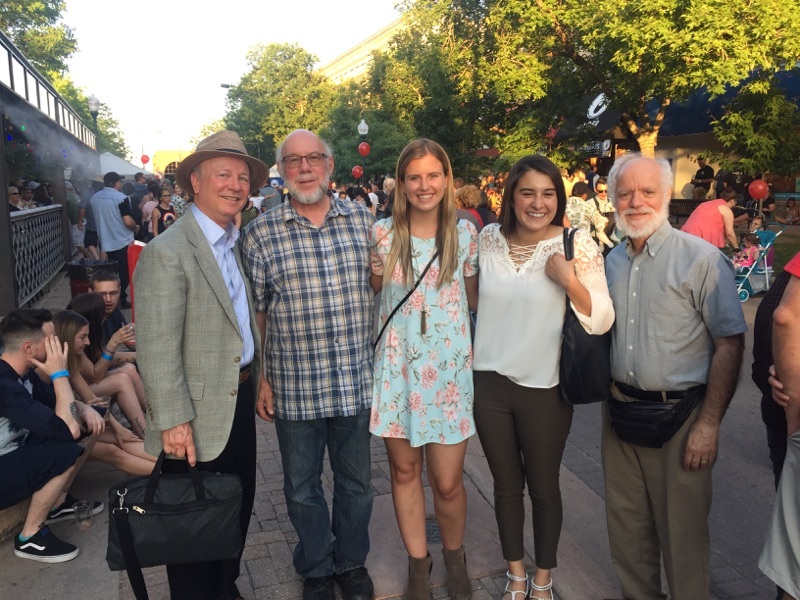 The group was also able to check out the Greeley Blues Jam Kickoff event, an evening of live music and community celebration. The event brought together scholars who are all from different years and different fields, yet united in their curiosity to learn about a Colorado-based organization, and the desire to build community with their fellow Boettcher Scholars. 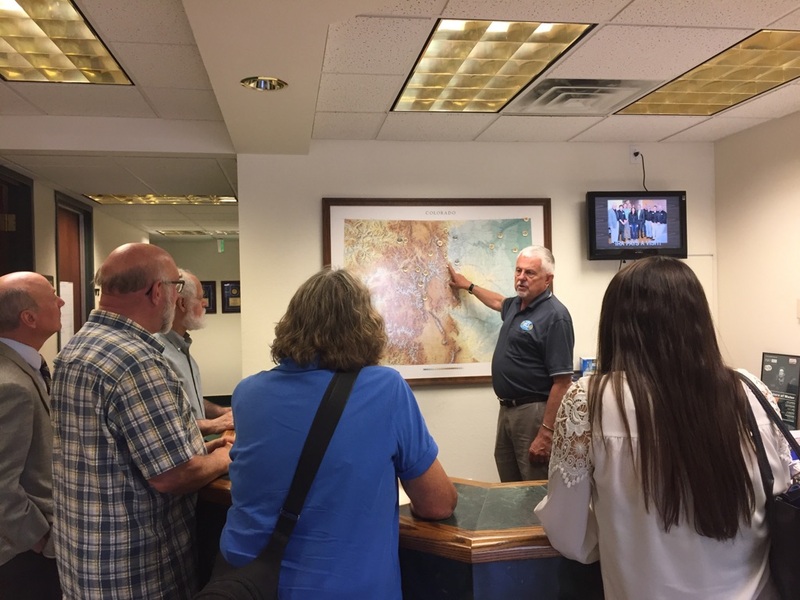 **This tour was organized by Boettcher Scholar Alumni Board Programs Committee Co-Chair, Tracy Wahl, who worked at NPR headquarters in D.C. for 20 years.